CMS Pro! is the most intuitive CMS (Content Management System) that a web agency can implement for their customers. It's perfect for small business websites and is really easy to use and to implement. The real value to the customer does not come from hundreds of features that they can't or won't ever use. Real value comes from making it really simple to use some great power features that get the job done. 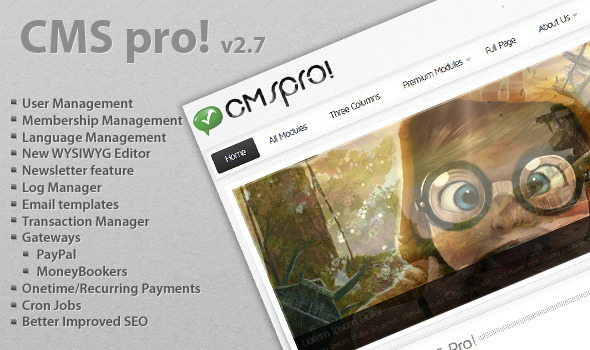 That's exactly what CMS Pro! delivers. CMS Pro! allows small business owners manage their entire site, or change their web site design in seconds. Dynamic menu creation - add as many menu items as you like, unlimited menu levels, easy drag. Multiple posts per page - you can add multiple posts per page.